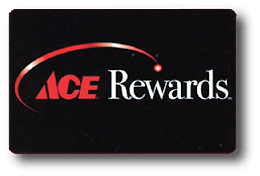 Here at Ace of Gray, we invite you to come into our store and enjoy a relaxing time shopping with our ACE family. We strive to offer you quality products at a competitive price with superior service. Count on Ace of Gray for all the supplies you will need for your everyday home projects, everything from paint, tools, electrical & plumbing, hardware and lumber. We also have a great selection of gifts and housewares in our extensive Gift Shop or if you are looking to add color to your yard our Garden Center is where you want to be with a large selection of plants, flowers and pottery.Your visit to Ace of Gray also comes complete with plenty of friendly, qualified, and complimentary advice from your Helpful Hardware Folks. Come in to experience what Ultimate Customer Satisfaction feels like, we are “ACE the Helpful Place”.